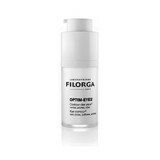 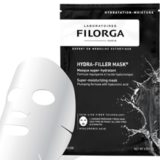 Filorga is the first range of cosmetics to originate directly from aesthetic medicine and is known and trusted for its ground-breaking nanotechnology (the unique ability to penetrate the skin beyond the epidermis and provide nutrition and stimulation at the deepest levels of the dermis). 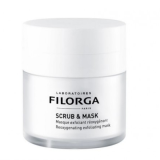 Each unique skincare product is stamped with Filorga’s medical expertise, contained within an exclusive core formula of NCTF®, a poly-revitalising complex of 55 active ingredients including vitamins, minerals, amino acids and antioxidants. 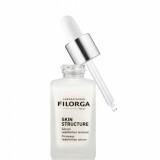 A powerful peptide combined with NCTF stimulates the synthesis of collagen and hyaluronic acid. 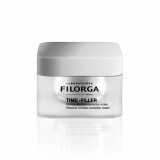 In parallel, a peel-like active ingredient smoothes micro-reliefs. 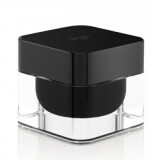 Price: R785 Size: 50ml Availability: Selected Edgars and Red Square stores.